As of June 2016, Google now requires anyone who use Google Maps to create an API. Google has issued a new update to the Google Maps APIs Standard Plan. In the new update, Google no longer supports keyless access (any request that doesn’t include an API Key) and has made all future product updates only available for requests made with an API Key. 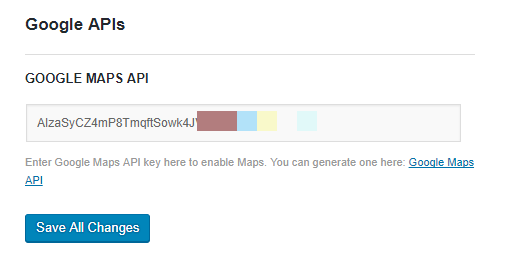 Navigate to Flatsome → Advanced → Google APIs to insert the generated API key.